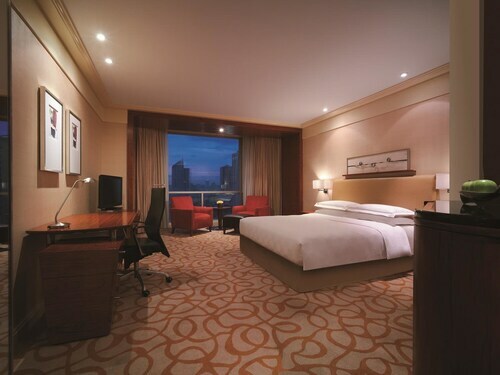 This family-friendly Manila hotel is located on the waterfront, just steps away from Manila Ocean Park and Manila Bay. Rizal Park and U.S. Embassy are also within 15 minutes. United Nations LRT Station is 18 minutes by foot and Pedro Gil LRT Station is 28 minutes. 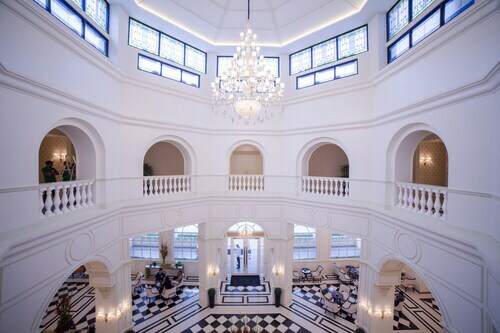 Located in Ermita, this hotel is within a 10-minute walk of Rizal Park, U.S. Embassy and Manila Bay. 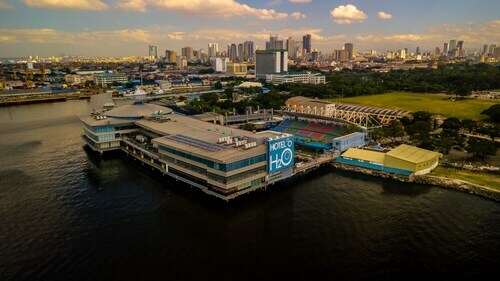 Manila Doctors Hospital and Robinson's Place are also within 10 minutes. United Nations LRT Station is 8 minutes by foot and Pedro Gil LRT Station is 15 minutes. 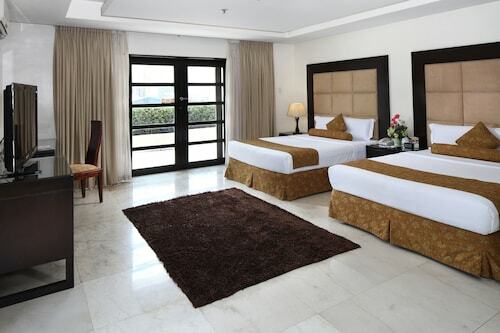 Located in Ermita, this hotel is within a 5-minute walk of Manila Bay, Rizal Park and Manila Ocean Park. U.S. Embassy and Manila Doctors Hospital are also within 15 minutes. United Nations LRT Station is 14 minutes by foot and Pedro Gil LRT Station is 24 minutes. 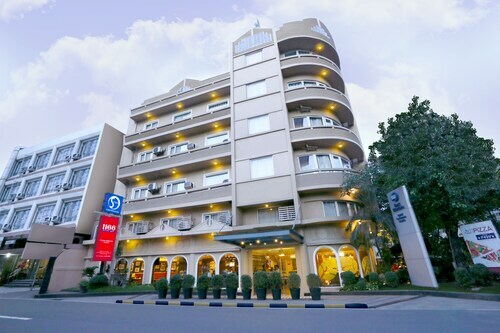 Located in Ermita, this hotel is within a 10-minute walk of Rizal Park, U.S. Embassy and Manila Bay. Robinson's Place and Manila Doctors Hospital are also within 10 minutes. United Nations LRT Station is 11 minutes by foot and Pedro Gil LRT Station is 15 minutes. 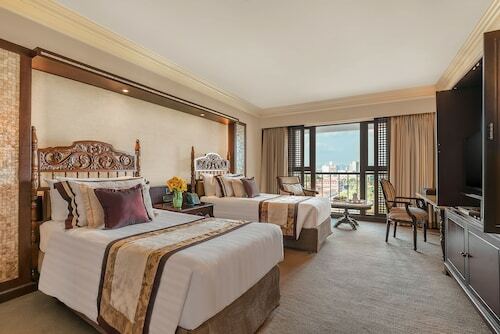 Located in Ermita, this luxury hotel is within a 15-minute walk of Baywalk, U.S. Embassy and Rizal Park. Manila Ocean Park and San Agustin Church are also within 2 mi (3 km). Pedro Gil LRT Station is 9 minutes by foot and United Nations LRT Station is 17 minutes. 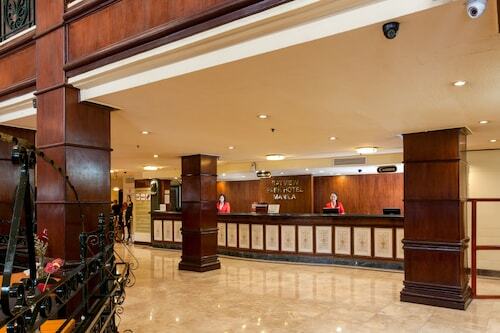 Located in Ermita, this hotel is steps away from Casino Filipino and Rizal Park. U.S. Embassy and Manila Doctors Hospital are also within 10 minutes. United Nations LRT Station is 6 minutes by foot and Pedro Gil LRT Station is 15 minutes.